and we will match you against employer requirements. Register your qualifications and availability on our global database and we will match you against employer requirements. FREELANCE AIRCREW is your one-stop-provider of aircrew for contract positions. Aircraft Owner or Employer, you have come to the right place. FREELANCE AIRCREW is your one-stop-provider of aircrew for contract positions. Whether you are a Captain, First Officer, Flight Attendant, Aeromedical support, Aircraft Owner or Employer, you have come to the right place. 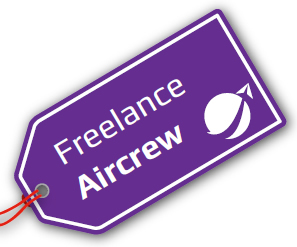 Posting a job on Freelance Aircrew is absolutely free, but we do ask you to create an account. If you already have an Employer's account then please logon. Please note that all jobs will be reviewed by our trained staff before they are made publicly available. You will recive an email with your logon details for Freelance Aircrew.